3 yr new home w/NO HOA! *BACK ON THE MARKET w/a reduced price 3/23! No Fault of Home, Rare Opportunity but directly from developer! No where in Pleasanton can you find a home of this quality and age for so less. Fab location, All 3 levels of award-winning Pleasanton Schools within walking distance. 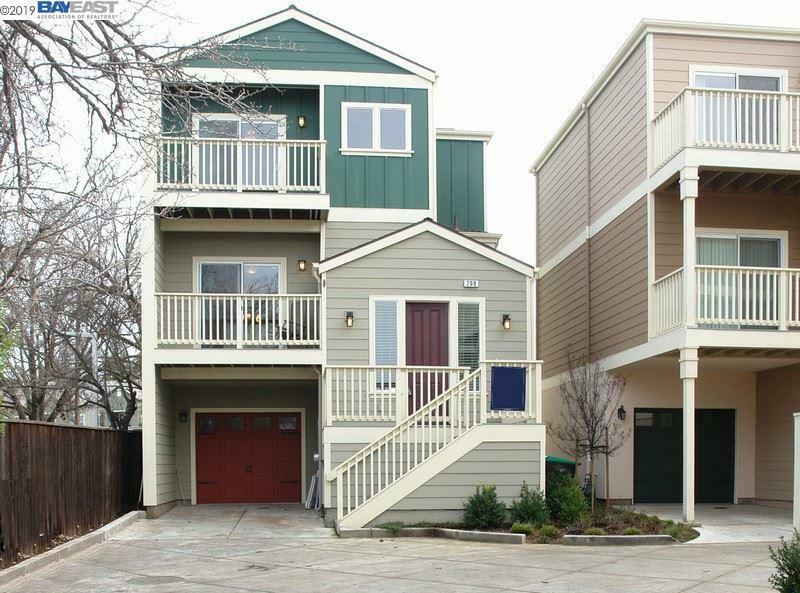 Your chance to live in thee Historic Downtown Pleasanton in a high-efficiency newer home. Private lane w/only 4 homes. Quality construction beyond words by local contractor. With 3 bedrooms, 2 full baths & 2 half baths in 1755' of executive upscale living. High ceilings, Granite Gourmet kitchen large bonus room which can be used as 4th bedroom or office. 3 separate heating/AC zones , Ceiling Fans thruout, Beautiful faux wood flooring. Largest yard on the lane, private parking. All within a block of Main street downtown Pleasanton & Pleasanton highly acclaimed schools.